Super Savings Item! 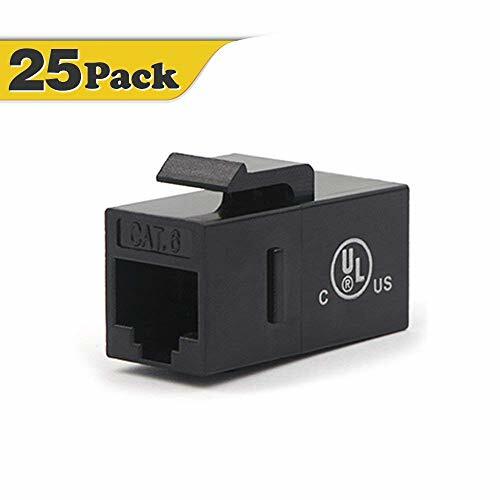 Save 34% on the [UL Listed] VCE 25-PACK CAT6 RJ45 Keystone Jack Inline Coupler-Black by VCE at Andy Pemberton. MPN: M226B-25P. Hurry! Limited time offer. Offer valid only while supplies last. Warranty:One Year Warranty for quality problem. With UL Listed, just use it without concern. If you have any questions about this product by VCE, contact us by completing and submitting the form below. If you are looking for a specif part number, please include it with your message.